Getting a brand new blank notebook is one of the most exciting sensations. There is so much potential, so much freedom! The feeling of cracking open the front cover, the texture of the paper in your hands… it can be intoxicating. But it can also be quite intimidating! Sometimes the blankness of the first page can be overwhelming and make you feel like you’ll surely ruin this beautiful thing. You might be tempted to put this gorgeous blank notebook on your shelf (with the other empty journals you’ve collected). I know what it’s like to have a vast collection of underused journals and the unique frustration that comes along with it. Thankfully, after a few years of journal exploration, I’ve found dozens of ways to put beautiful blank notebooks to good use. If you are ready to feel inspired to take on your journal collection, then grab your favorite pen and let’s jump in! I’ve used a million journals and notebooks over the years, but here are my favorites that I’ll happily use again and again. Are you an avid hobbyist? Then keep a journal for all your hobby-related projects and purchases! Sketch out rough ideas of your plans, measure for projects, and jot down items you need or want to grab in the future. That way you have a record of all the work you’ve done so you don’t forget key details. I’m personally a huge fan of the List of 100, which is a method I pull from Kathleen Adams’s Journal to the Self. Keep a journal just for this amazing exercise and see what insights you can find! Are you interested in the meaning of your dreams? Trying to learn how to lucid dream? Then a dream diary is a must! Keep a journal by your bed and jot down your nighttime adventures when you wake up. If you have a blank notebook with no lines or grids, then it’s a great candidate for a sketchbook! You don’t need fancy paper to doodle or jot down your rough ideas. Some people prefer to keep a personal record of their daily activities, and a blank notebook is perfect for just that. Write down a few sentences about what you do each day – who you saw, what you ate, what you worked on, etc. Over time, you can see some patterns of your life and gain some great insights! 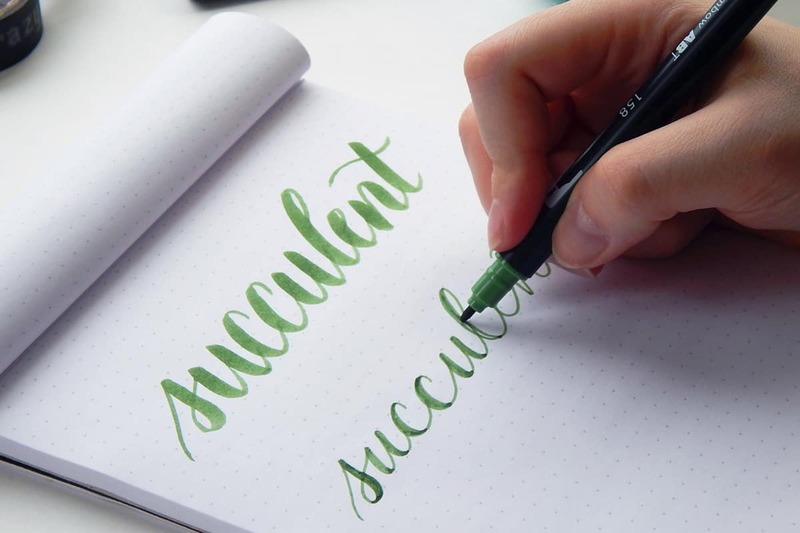 Interested in hand lettering? You know you need to practice in order to improve, so why not use one of your blank notebooks? Pull out your Tombows or your Faber-Castels and go nuts practicing! Brush lettering is an amazing skill that isn’t hard to pick up – the only thing you need is the right resource to learn the right way. If you’re wanting to get into lettering, check out my course Brush Lettering 101 and get started today! 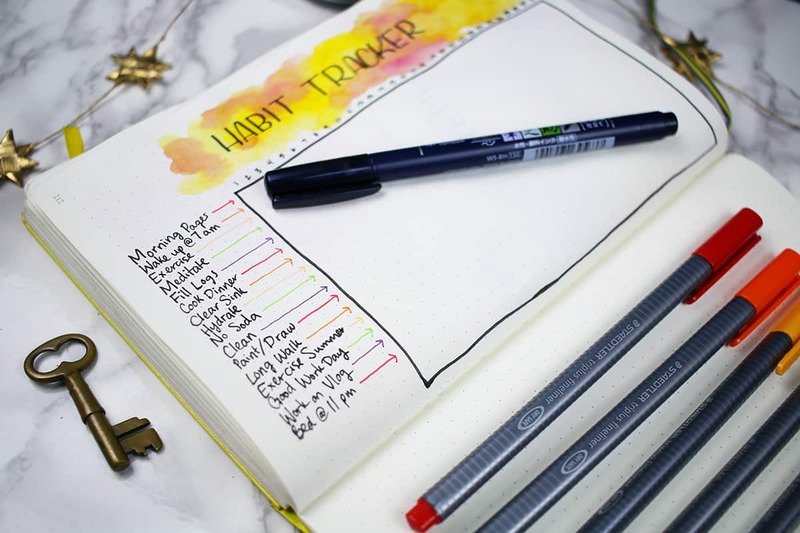 When you work for yourself or you simply want to keep better track of your schedule, then a time tracker is a fantastic tool. Keep a notebook next to your desk and simply scribble down the time when you switch tasks so you can review your time usage later. If you’re a procrastinator, this might be just the method to help you see where you get stuck so you can correct. It’s super easy to set up, but you can always add a bit of fun and flair with time tracker stickers! Planning parties can be fun or it can be stressful. Keep all your ducks in a row by dedicating one blank notebook exclusively to your planning! This is especially handy if you’re engaged and you’re planning out your wedding. One journal can be the central location of all color swatches, appointments, music playlists, registry information, and more so you don’t lose your head. Ever heard of a vision board? Imagine that, but in a journal! Write out your wildest fantasy of your best life. Cut out pictures from magazines, paste in pictures of yourself, and let yourself dream without limits. Don’t know where to get started on this fun project? Try this exercise for page one! 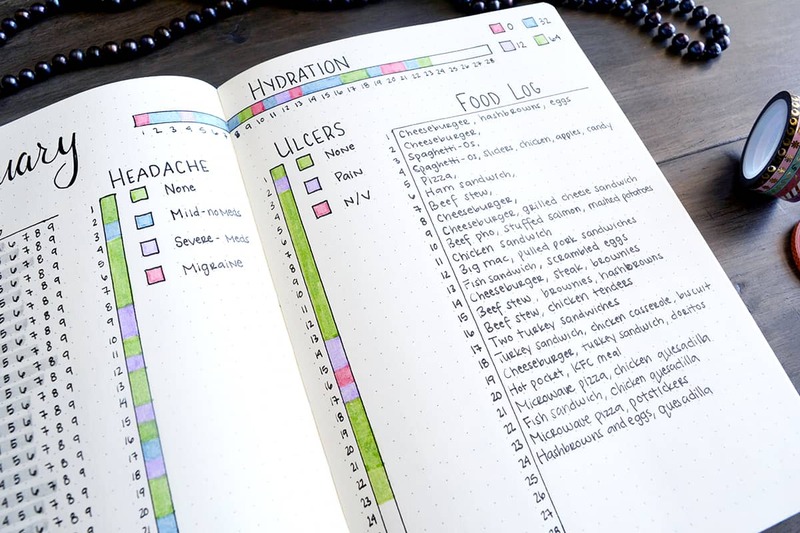 If you have any type of medical or mental condition, then keeping a health log might be your new favorite thing. You can track all your symptoms, triggers, medications, and any other information that is relevant to your condition. That way you can see the overarching patterns and better handle your situation! And an added bonus is that you can discuss your health log with your doctor and have a better dialogue about steps moving forward. Health is a super important part of life, so dedicate a blank notebook to the cause! Keep a log of everything you eat, how much water you drink, and even write down a permanent grocery list to take with you to the store. If you are into calorie counting, keep that information in your food journal too. It’s the perfect way to watch what you eat! A gardening journal is wonderful for folks who have a green thumb. Keep a detailed list of your houseplants, patio plants, or food garden plants. Create a schedule so you know exactly when your monstera was last watered or when your string of pearls was fertilized. If you want to keep your green babies healthy and happy, a gardening journal is an excellent choice. As I’m sure you can tell by now, I’m a big fan of logs and trackers. 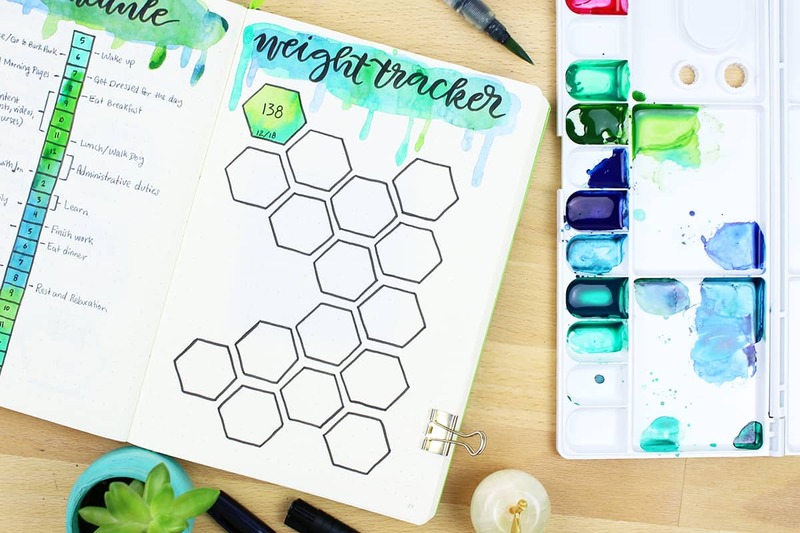 My favorite tracker of all is my habit tracker! This one lives in my watercolor planner, but it could easily be moved to its own journal. You pick certain habits (good or bad) that you want to track, then simply mark whether you did that habit each day. Over time, you can see your habitual routines and patterns pop up, which means you can tackle any habit changes you want to make! This one goes out to all you lovebirds out there. Keep a single journal (maybe a nice leather journal like this) and use it as a place to keep love notes. Write out your sappiest feelings and address it to your sweetheart. When he or she picks it up to write their own heartfelt message, your note will be waiting. You can collect some beautiful memories over the years and create a cherished keepsake to enjoy for years to come. If you’ve ever struggled to keep a dedicated journal, then I’d highly suggest you try writing Morning Pages! After years of trying to write regularly, the Morning Pages helped me turn journal writing into a daily habit – one I’ve kept for a couple years now! This method is from the book The Artist’s Way by Julia Cameron, and it’s hands down one of the most powerful books I’ve ever read. I would be remiss if I didn’t mention the bullet journal! This is an excellent planning/journaling system to help you dive into organization. 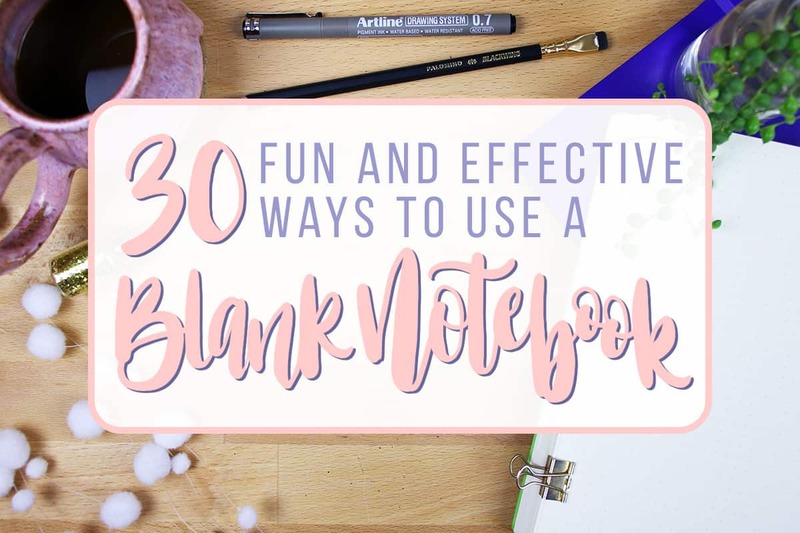 You can make it as fun or as frilly as you want, and it’s perfect for any old blank notebook that you have lying around. 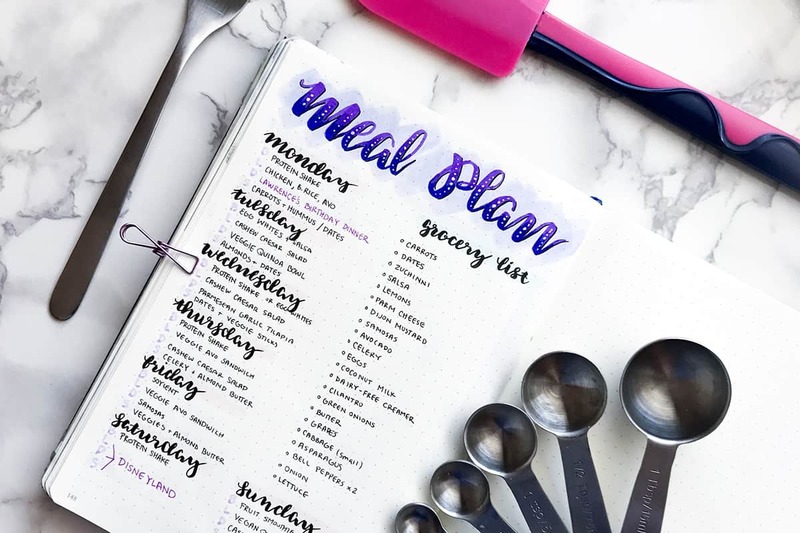 Read my ultimate bullet journal cheat sheet to get started! Whatever your spiritual journey, you can track and plan it all in one journal. Write down prayers, meditations, Tarot card spreads, hymns, holiday plans – you name it. This is perfect for any notebook that you feel especially drawn to! Affirmations are an incredible tool to help you change your thoughts and attitude to be more positive. And an affirmations journal is an awesome way to help you develop that habit! This journal would be the place you jot down all those things you have been meaning to try but always forget. Get a recommendation to try a new restaurant? Write it down! Have someone suggest a book? Write it down! That way, when you’re looking for something to eat or a new book to read, you can flip open this journal and have your pick of the litter. Someone suggested Big Magic by Elizabeth Gilbert to me and it took me ages and ages to finally read it using Audible (spoiler alert: it’s amazing). If you want to try out Audible, you can get two free audiobooks with a free month-long trial and see for yourself. If you want to kick up your cooking game, then try starting a recipe book! Think of it as a log of all the recipes you try, along with notes about what you thought about that meal. Writing it all down can help you develop your skills in the kitchen and be more conscious about your food choices. You can also add recipes you want to try down the road by creating a recipe bank! We could all use more gratitude in our lives, right? Make it happen by starting a gratitude log in a new journal! Counting your blessings is good for the soul and incredibly easy to do. Have a blog? Make plans and track your success in a notebook! It’s a fantastic way to stay on track and keep yourself organized. In fact, I have a whole post about how to use a pen and paper notebook to plan for your blog! Don’t have a blog yet but interested in starting one? I can help you get off the ground with a $50 discount to web hosting! Whether you want to lose weight, gain mass, or maintain a healthy body, an exercise journal is a great way to do it. Write down your goals, inspiration, and exercises. Create an exercise schedule for yourself, and make sure to track your progress! It’s perfect if you’re training for a marathon or participating in some kind of program, like the Couch to 5k. If you want to have a better handle on your finances, then why not keep a financial planner? Focus on your goals of paying off student loan debt, creating an emergency fund, or saving up for your dream vacation. Track your monthly expenses and watch how your spending habits develop. Every day come up with a six-word story – it’s that simple! This is a fun challenge from Page Flutter to get the creative juices flowing and it’s a great exercise for aspiring writers and poets. This is a great opportunity for you to think up all the wild and incredible things you want to do in your life. They can be grand, expensive, once-in-a-lifetime events – or they can be seasonal activities that you love and enjoy. I’ve made seasonal bucket lists for both summer and autumn, and they made me bask in the glory of each season even more! I don’t know about you, but every time I travel, I get so wrapped up in the experience that I never think to document it in any way. That means that days full of rich exploration and fun get lost to memory, and I only remember highlights. That’s why I want to start a travel journal to capture all the magic of travel so I can enjoy it for years to come. If you love to travel, then you should start one, too! When you are angry or upset with someone in your life, sometimes the best thing to do is write an Unsent Letter. This technique from Journal to the Self by Kathleen Adams is a powerful way to pour your feelings onto paper and process heavy emotions. You can let out all your pain, anger, and sorrow. Then you can keep it tucked away, safe and sound. Just make sure this one stays away from prying eyes! If you enjoy nature walks, you might enjoy taking up the hobby of nature journaling. A book I particularly enjoy on the subject is A Trail Through Leaves by Hannah Hinchman! Observe your local wildlife as the seasons change and you’ll be amazed of all the natural beauty you’ll capture. I enjoy bringing my Pentel Aquash Brushes and Prismacolor Watercolor Pencils with me so I can sketch on the go. 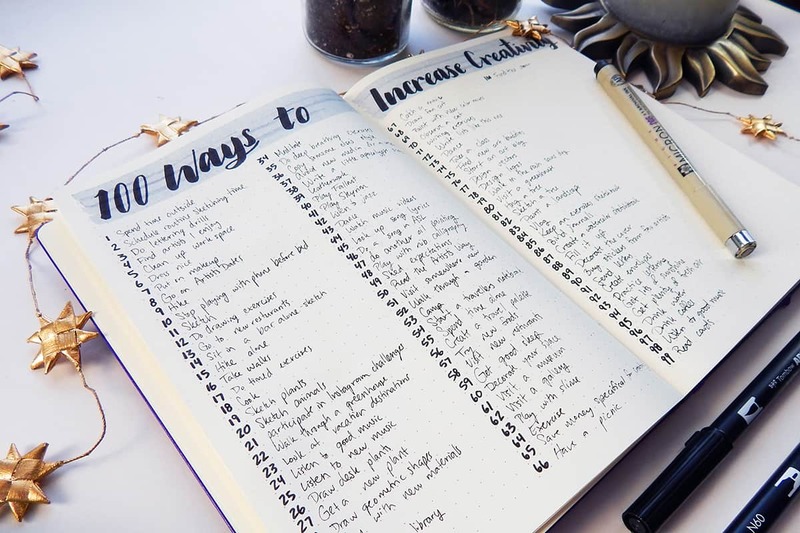 While this list covers 30 great ways to use your journal, there are no limits to what you can do! The blank page offers you complete freedom to do whatever you want. And don’t feel that you must keep a notebook committed to only a single purpose! Mix and match whatever you fancy to suit your needs and help you get the maximum enjoyment out of your paper pal. If you are nervous about writing on that first intimidating page, check out this post on perfection and getting past the first hurdle to using a blank notebook. So take your pen in your hand and write out whatever feels right to you. Now go out there and make something fantastic! I am going to be getting a new camera soon so that I can finally work on my photography. I plan to use many of these ideas on organizing what I see in the outside world, as well as my pictures! Very helpful with helping my organize my deadening amount of empty notebooks! I had never even considered keeping a notebook specifically devoted to photography. That is a great idea, Toby! OMG!!! Thank You soooooo much! I have so many blank notebooks, just lying around, that its kind of sad. Now, I can actually use them! Have a blast putting those journals to use! So glad it was helpful for you Kristi. Time to put all those journals to good use now, huh! I hope you found some great ways to use your notebooks Eva. Oh my god, I don’t feel guilty anymore to buy more notebooks and journals, it feel great. Thanks for great ideas ?? You really can’t go wrong with a good notebook, right Mitra?! I thought I was weird with all my blank books. Just love the covers and possibilities! Thanks for letting me know I’ll not alone! Time to get writing! ? Oh, thanks for the heads up, Beth! I had no idea the price had skyrocketed. I’ll edit that in the post! One idea I didn’t see on your list is one that I’ve been doing for about 10 years. It’s our household entertainment binder, sectioned off for Easter, Thanksgiving, Christmas, Summer (which encompasses Memorial Day, Independence Day, and Labor Day) and Other. Yes, we entertain plenty. At least six parties a year. I don’t use a form, just the same headlines for each event: Title, Day/Date, Time, Menu, Who’s Invited, Who’s Coming, Who’s Bringing What. From these outlines I can plan my shopping lists for food, paper goods, etc. Also, the dividers have pockets so I can store recipes in them for whatever function we’re hosting. When it comes time for food prep, I put all the recipes in a magnetized binder clip on the fridge to refer to as I’m cooking. On the back side of each planning page for Easter, Thanksgiving, and Christmas, I draw out the two tables in my house and work out a seating plan. I like our guests to sit with people they normally wouldn’t choose to sit next to. It makes for better and lively conversations, plus you learn about each other. I started doing this notebook my husband would ask me, “Well, who came last year and what did we eat?” I did save my scrap papers of planning notes — somewhere! — and came up with this idea and was able to put ten years’ worth of party plans into my binder. It’s a life saver. This sounds like a wonderful way to plan out your gatherings MaryAnn! There is a lot of us journal and planner hoarders out here, only we are all struggling to admit it. Right now i am overboard with creating planner pages in Microsoft word, every time in open my BuJo/Planner it seem I need a new page for something. 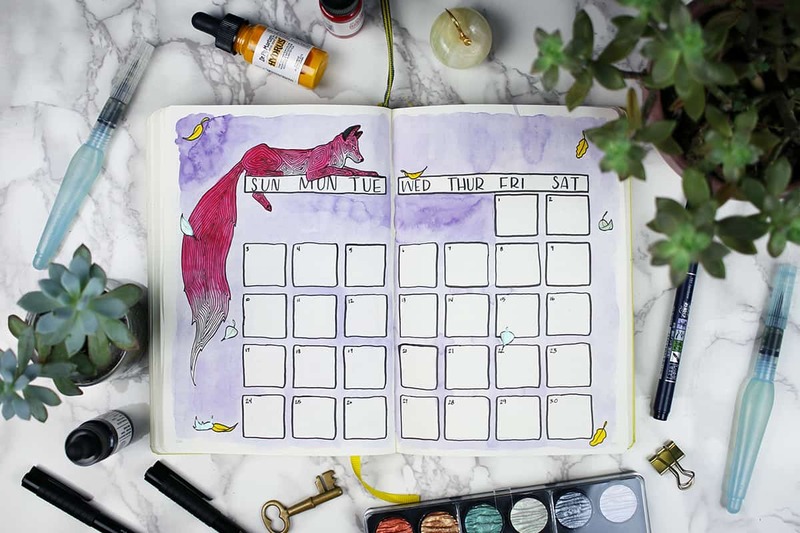 Now, I know that sounds a little crazy, after all what is a BuJo for, only creating any kind of page you like, right? Well I am not creative enough to design a hand drawn page, and I tend to use a page over and over once I create it. So drawing it over and over is not for me. My BuJo is in a 2 inch A5 three ring binder because I like to be very organize and I am definitely to systematic for my own good, so i move pages around a lot. Getting very chatty and all, this is the way I like my journal and I am very happy with it. I also use a lot of self-made stickers of flower and such of over my journal that I find on Pinterest, they are my favorite, and it keeps me going back to my journal and faithfully use it. Sounds like you have a system that works really well for you which is wonderful Robin! I love your ideas and have started a bullet journal that is partly dedicated to planning an international move. But my issue around hoarding notebooks is that most of mine (I have maybe 10) are partially filled with stuff – the pattern is that I will pick a new one at an airport or a train station before traveling, and fill in a few pages, and then by the time I get home it’s lost in the shuffle. It’s actually in weeding and consolidating for my move that I have gotten them all in the same place! Long story short: any suggestions for coping with partially filled notebooks? Ooh, that’s a tough one, Emily! I know exactly how you feel. I, too, have had to face moving with tons of journals filled with only a few pages of writing. It’s quite the pickle! You could tear out the pages you wrote on, save the pages in a file or scan them onto your computer, and either start fresh with the journal or toss/donate it. For a few of my notebooks, I’ve actually just flipped through it one last time, decided that it isn’t really important, and recycled the whole thing. I feel guilty for an hour or so, but I forget about it before long because it truly wasn’t important. And a few notebooks have continued to travel with me because they contain something I care about, and I’m not so strong as to actually get rid of all these half-baked journals! Anyway, you’ve got a tough job ahead of you. Good luck as you try to pare down your half-used journals! Awesome, I’m glad to hear you liked it, Ashley! Don’t you have a youtube channel??? OMGoodness! I am in the right place! I have always been in love with paper, and often send a box of notebooks to my friend who is a writer. Her stuff is good enough to want to save it in something beautiful, and it gets it out of my house. I am such a hoarder! My sister tops us all, I think. She has always kept a journal, but she journals in poetry! I swear this is true! I will return, I love your shared info! My sister send me the link to ths blog and this list gave me new ideas, Since i was little i love stationary and since then been collecting notebooks, pen, pencils etc… There are so many beautiful stationary out there i just can’t help it, my room is full of notebooks i always love the “Papeleo” that’s spanish for paperwork i remember that i said to my parents back then that i wanted to be a secretary when i grew up, just because to have to work with papers, well i love stamps, stickers, folders (since elementary school i been using folders) now that i am in the university i clasify the papers that were given to me in class in folders, each class has it’s folder, i put the papers in sheet protectors ” for this i use the folders with prongs” and then put all the sheets with their protectors together and it bacomes a book of the class, i also use the folders to storage and classify different papers. But since little i used notebooks to write down things for example, my favorite songs by the year they came out, let’s say all my favorite songs from the year 2009 they are under the year 2009. But i did this from the year 2000 to the year 2010 because then the style change and is not the same as before, every decade has a diferent style although there are new songs that i like but it’s not the same when you are growing up, my music are from the 70‘s till the 00‘s this last decade is when i grew up i was born in 92, I know the oldies thanks to my mom since little i been hearing 70‘s and 80‘s music (although i hear, that babys can hear from inside their mother’s womb and my mother told me she used to listen to music when she was pregnant of me and i believe this is true because i love all the oldies even disco.) Thanks, Gloria! ???? I’m thrilled that you like it, Gloria! If you are that in love with paper, then you’ve come to the right place 🙂 If you haven’t already, check out the Fox Den Resource Library for a ton of printables and worksheets that I know you’ll love! I really loved this. I have so many note books I don’t know what to do with. Hopefully you have some really great ideas now, Mirza! I have been journaling since I was about 4 when I learned how to write. I love it. I wish I still had all my journals because there is so much info I have forgotten. I always write down my feelings, places I have been and other stuff. It is in my blood! Thank you for giving me more ideas! If journaling is in your blood, Kate, then you have absolutely come to the right place. I’m the same way! I actually managed to keep a few half used diaries from when I was very, very young. While they are hilarious and cringy to read, I’m so glad I can look back on little me and my kid problems! Love all these ideas for notebooks – I have so many too! One question I have though – is how do you keep track of which notebook is for what, when they are all on a shelf – I have lots of spiral notebooks and can’t put a label on the side – how do you identify which is for which ? Ooh, great question Janey! Mostly, I keep all my stuff in my bullet journal! My Morning Pages journal sits on my windowsill away from the rest, and my other notebooks sit together on the bookshelf. Since I only have a few separate ones from my bullet journal, I usually just flip through them to find what I need. I’m sorry I don’t have a better answer! The only thing I can think of is using different colored ribbons or something in the spiral of the notebook to keep it distinct from the rest. Good luck organizing your journals, Janey! Can you please tell me how you would use a notebook that involves Broadway or theatre or acting? Besides writing a musical. Please write to me as fast as possible. I’m not sure exactly what you mean, Emma. Are you talking about how you would use a notebook to plan out a career in acting? I use a journal to keep track of bills such as credit cards, car payments, insurance premiums, etc.–a page for each. At the top of the page is the creditor name, address, telephone number, due date, and contact person if applicable. Then list the balance and basically keep a ledger each month. In the event I lose a bill, I don’t go into panic mode because the information is easily accessible. That’s a fabulous idea, Alona! I really need to get more in the habit of doing just this. With so many bills and such, it’s worth it to keep such a detailed record so nothing slips through the cracks. Thanks for sharing your method! I am a total notebook-hoarder. Anything stationary, really. a money log, or an inventory book 🙂 I still have to start on the latter! You and I were cut from the same cloth, Janine 😆 I have so much stationery that I’ve collected over the years! And I think having a place to take note from blogs is a great idea, especially as you grow your own. It’s great to get that information down! I love your blog, Shelby????????????????????. I use my journals to paste memorable pics and write down about them. Love your Ideas….. Thank you so much! That’s a great use of a journal. Memories are so great to keep close! I love your list. Thanks so much. Oh, I totally meant that Kim was where I first saw it in that format! But yeah, I guess I did word it that way, didn’t I 😆 ? Thanks so much for the link and for stopping by my blog! My husband and I wrote down our wedding ceremony into a beautiful notebook. On our anniversary every year, we write each other a note. We add stuff in like movie tickets and such. That’s a beautiful idea! Pulling out the wedding journal and adding to it creates a wonderful tradition. I imagine that’s got to be touching on every anniversary. I use it to plan out what I’m going to wear to work everyday for the coming week. I note the days on the left and then I have three columns across the top: Bottoms, tops, toppers. That’s basically my uniform every day. Which pair of pants or skirt Kama which top, shell or blouse, and which sweater or jacket over the top of that? Every night I set out the clothes that are on my list for the coming day. No worries for the whole week. This also helps me know what I need to make sure is clean before the week starts. I have found writing this in my journal and following it makes my mornings go so much smoother and gives me a little extra time to savor my coffee. This is a great idea, especially for folks who are trying to slow down their mornings a little bit. We could all use a little extra time for coffee! I’m glad! I still have a bunch of journals lying around, but I’m much better about actually using them nowadays. It’s so hard not to collect them! Absolutely love the idea of the mutual love letter journal. In this digital age, we’ve lost the art of writing well thought-out letters. There are a number of notable individuals from history whose love letters to their spouse were preserved, and their eloquence, thoughtfulness, and charity for one another astounds. Our communication today, emails and texts, are too often too short and simply transactional. Keeping a love-letter journal with your significant other is brilliant! Thank you, that’s a lovely way of putting it! I actually originally had this idea as a preteen – I bought a journal to give as a gift to my parents so they could do this. They weren’t too keen on the idea 🙂 Now, it’s just so nice to have beautiful things written down as a keepsake, for ourselves and for our eventual families. That’s a really nice piece of history to leave behind. You are my kind of girl! I love notebooks and have so many of them for just about everything I do. Mine are just plain and wish they looked as pretty as yours. I even have my husband started on one, too. Notebooks are a super way to stay organized. Aw, thanks Patty! There is nothing quite like pen on paper, is there? We are obviously cut from the same cloth 🙂 Thank you so much for commenting! I came across this post today and loved it! I love buying journals and notebooks and gave way too many colored pens for one person! I’m also somewhat of a perfectionist so while I live journals, I’m always scared to mess up one. You post helped me overcome that a jump into a cute little notebook that I’ve had for awhile. Thanks! Sorry for the typos. I have way too many pens. I love journals. And your post helped me overcome that and jump into a new journal. No worries! And I totally understand the desire to make a journal perfect, to want to keep each page beautiful. I still have some journals that I haven’t yet dare touch because of this. Think of how many fantastic ideas are never brought into the world because of the fear of it being “imperfect”! I’m getting better every day, trying to accept that mistakes are a part of life and move on. It’s tough, but totally worth it. I’m glad you feel a little more comfortable jumping into your notebook. I hope you can materialize your amazing ideas and share them with the rest of us through the beauty of pen on paper! I do something similar to #1, but I do it at night. Often when I am lying in bed trying to sleep, I have a million things going on in my head. Maybe it’s something I need to say to someone or something I need to remember to do or something I need to remember to take with me or just some completely random thing which isn’t even important. Whatever it is, I don’t want it cluttering my head at that hour; so I just jot it down in the notebook and deal with it in the morning, and I sleep comfortably knowing that I won’t forget whatever it was. That’s a great way to do it! Sometimes you remember the most important things or have the best ideas when you’re trying to fall asleep. Catching it all on paper is an awesome way to handle it!